Oh my goodness! This little guy is so precious. He was just a doll at our session. I loved getting to chat with this awesome family and catch up since our newborn session. I seriously love my job. Getting to photograph beautiful families and getting to know them and share in the joys (and difficulties!) of parenthood is really such a blessing. I just love getting to hang out with this sweet family and I can't wait to see them again with this little one is a year! Enjoy! Six months is one of my very favorite baby stages and one of my favorite times to photograph babies. They are always so sweet and happy. Mom and Dad are over the moon because their baby's little personality is starting to show and it's just all around so much fun. I had such a great time meeting this wonderful family a couple of weeks ago and their baby girl was the happiest thing ever! Enjoy these photos of this wonderful family! More to come from this beautiful family session tonight! I am loving these warmer temps! Reid is officially 6 months today. He is the most adorable, sweet and wonderful baby ever. I love every minute with him! We had a little photo sesh today during the big kids rest time to mark the occasion. Enjoy! Since today is the last day of 2014 I wanted to do a post compiling some of my favorites from client sessions this past year. What an amazing year this has been! I am so thankful to have had 80 sessions this year with 51 individual families. I had originally intended to do a post of each type of session I do but ran out of time so none of my maternity clients are featured here but you can see them here in a post I did on Monday. Thank you all so much for allowing me to come into your homes, get to know you a bit, and capture these beautiful memories for each of you to treasure for a lifetime. I love my job and it's because of you all that I am able to do it. I almost get emotional looking at all these photos because I know that each and every one is a real story of love and family. Thank you again for trusting me with your memories! I know this is LONG but I just couldn't pick a few favorites! Enjoy! And here's one more for good measure with one from each and every session I did this year! Thanks so much for being a part of it and I can't wait to see you in the new year! I love Christmas time and children just make the season even sweeter. There's nothing quite like celebrating your first Christmas with your first baby. I love that we got to do part of this family's 6 month session at the tree farm and part of it at their home in their PJ's. :) Enjoy this wonderful season celebrating the birth of our Savior with your sweet little one's! Merry Christmas! 3 weeks ago tonight I got to meet back up with one of my sweet little newborn clients and her family to do her 6 month portraits. It was the most beautiful evening. It was in the 80's during our session and it felt like a little bit of summer was still lingering in the air. Tonight I'm bundled up by the fire as I write this blog post since it's 30 outside and a chance of snow tonight. These gorgeous warm summery evenings are drawing to a close for the year and I am just sitting here so thankful for getting to be a part of these sweet little memories we got to photograph of this little one and her mama. Like her chubby little hands, giggles with mama and of course sucking those fingers. Can't wait to see this family again in a few months when it's warm again! Until then, enjoy these sweet images! I recently got to meet up with this sweet family once again to photograph Ms. Harper for her one year pics. It has been so fun getting to watch this beautiful girl grow over this past year. I've been able to photograph her in her mama's tummy, as a newborn, 6 months and now 1 year! Happy Birthday Harper! It has been so fun seeing you and documenting your first year! I love to photograph 6 month olds. It is just such a great time to document how much they’ve changed since their newborn days. They are usually sitting up but not crawling yet so they can’t get away :). My favorite things are that they are full of personality and smiles and always have the best little baby pudginess. This 6 month session was no exception. Ryan was the sweetest little thing and this family made my job so easy. It’s pretty clear how smitten Mama+ Daddy are with this little guy and the feeling is totally mutual! Happy 6 months Ryan! I can’t believe it’s been 6 months already since I photographed this sweet girls newborn session! She is the happiest, smiliest (is that a word?) baby you have ever seen. Looking forward to seeing her again at one year! Happy 6 months to this little beauty! Holy. Moly. Get ready for one of the cutest babies you’ve ever seen. She was just the most adorable+happy+snuggly little thing. Not to mention her mama and daddy are completely smitten with her, but can you blame them? We had the most gorgeous spring day the day of our session. I cannot wait to see her again in 6 months when she turns one! 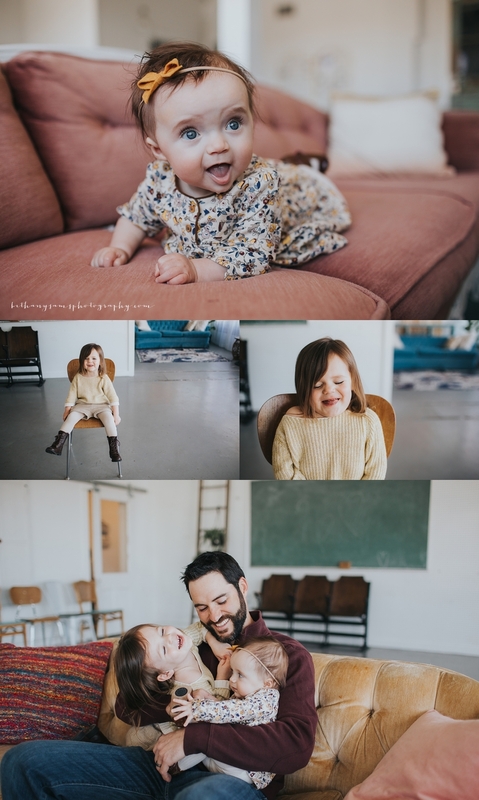 Enjoy these precious pictures of this wonderful family! Get ready to gush! Because this session is gonna be out of control cute. More to come! Hey there! Just a little sneak peek from this little guys 6 month session tonight. Such. A. Doll.